St. Vladimir Orthodox Church, Ann Arbor, MI - Fall Back One Hour Tonight! 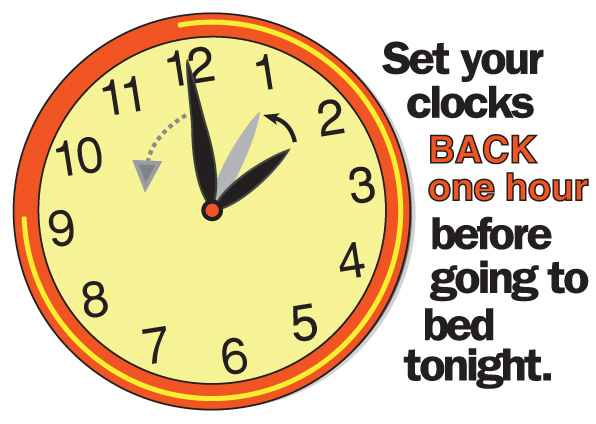 Fall Back One Hour Tonight! Danger - if you do not change your clocks back one hour on Saturday night when you go to bed you will be EARLY to Church on Sunday - and nobody wants that! :) Don't forget: FALL BACK ONE HOUR!